A simple and easy, flavored milk, saporous with mild floral aroma, just perfect for these summers! 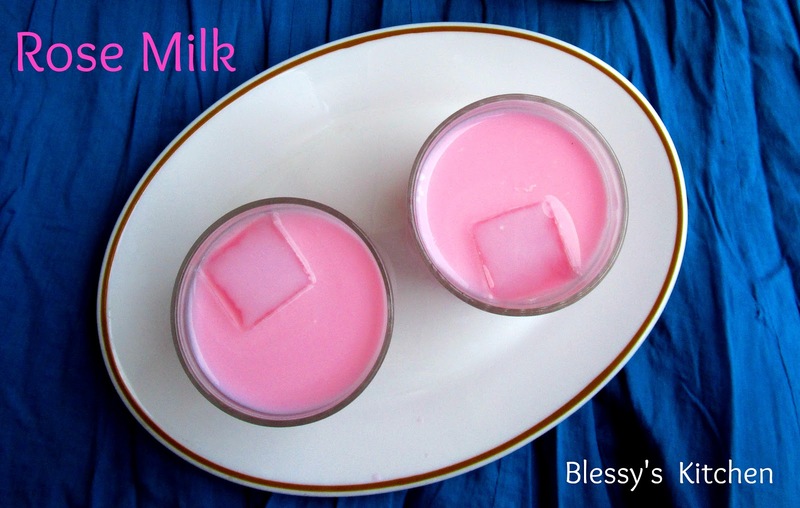 Rose milk is made with rose petals. Since I didn't find the organic rose petals, I had to use the rose essence and the pink color. But I'd love to work with those gentle petals! 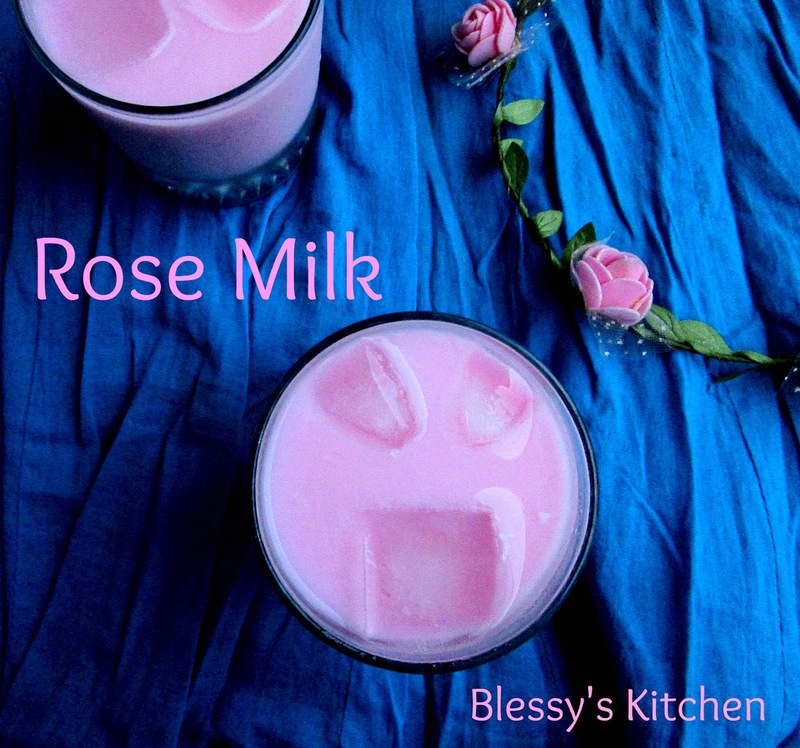 To make this rose milk even more richer, you could add cream, ice cream or mawa/palakova. 1. Begin by adding the sugar to a saucepan, add water and cook until it thickens. 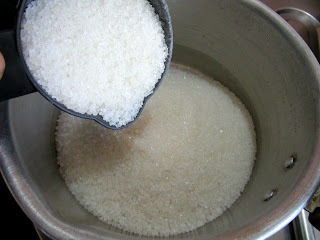 The sugar syrup consistency should be slightly sticky like honey but not one thread consistency. 2. 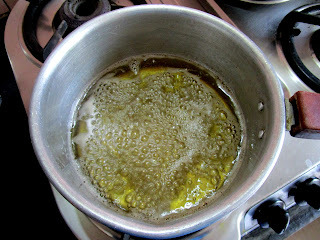 To the sugar syrup add required amount of food color and switch off the flame. 3. Add the rose essence and mix well and leave it to cool. 4. To make the rose milk, add about 2 tablespoons of rose syrup and add the milk, mix well and enjoy the drink! Cook until it thickens. 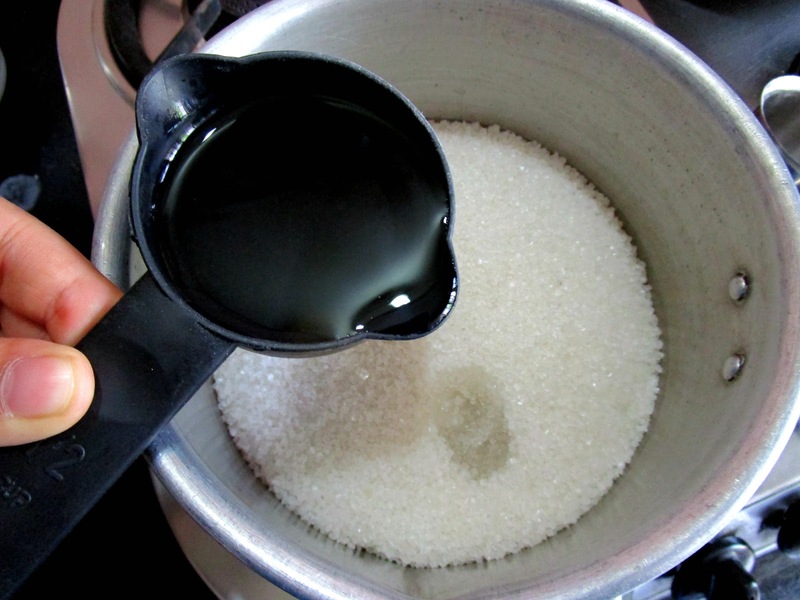 The sugar syrup consistency should be slightly sticky like honey but not one thread consistency. To the sugar syrup add required amount of food color and switch off the flame. Add the rose essence and mix well and leave it to cool. Add the milk, mix well and enjoy the drink!